A normal morning for me, but with a few hiccups during the night from a party next door. Not because of the sound pressure level but because of the never ending “OPA”, which in Greek means, “oh yeah”, in a way. I woke up with the distinct feeling I needed some classic rock in my veins to get rid of the alcohol from the night before infused from the music next door. I wanted to simply enjoy it with coffee, ultimately my Dolce-Gusto pods, which are for a quick coffee to get my partial fix. I sat at the kitchen table with a pair of 99 Meze Classic in gold and brown wood. What a beauty. Brothers in Arms was for breakfast today. The fusion of the past and today, creating a moment in what was about to be my future fugue had begun. As you can imagine, the immaculate Meze comfort level soon took me out of the area where I was to go to a quiet area in the home where I wouldn’t be seen from others to be swinging my head with my arms in the air and me babbling. I then put Keith Jarret’s Koln Concert (don’t ask me why). One of my all-time favourites. I think I have heard it over 1000 times, and yet, here I am again experiencing it once more on headphones that make more sense than my Sennheiser’s Momentum 2, which I am testing as well. They were smaller not only in physical, but the depth and clarity are also compromised. I felt the spaciousness with the pianos placement, and the voice of Keith Jarret’s cries. 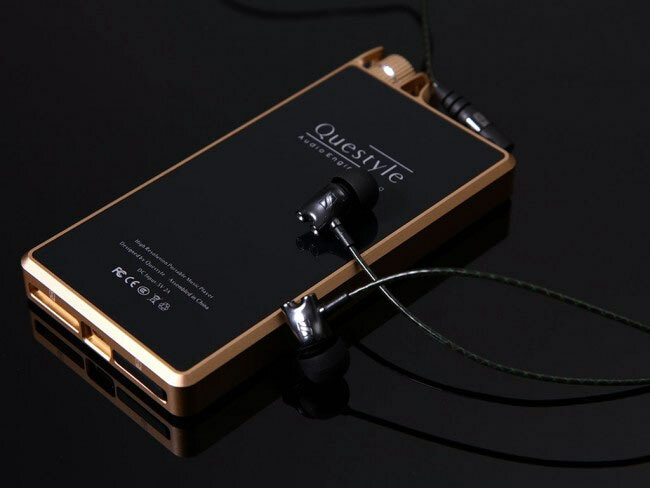 I wondered if this was the headset gear, or the actual Questyle made any difference to the sound. 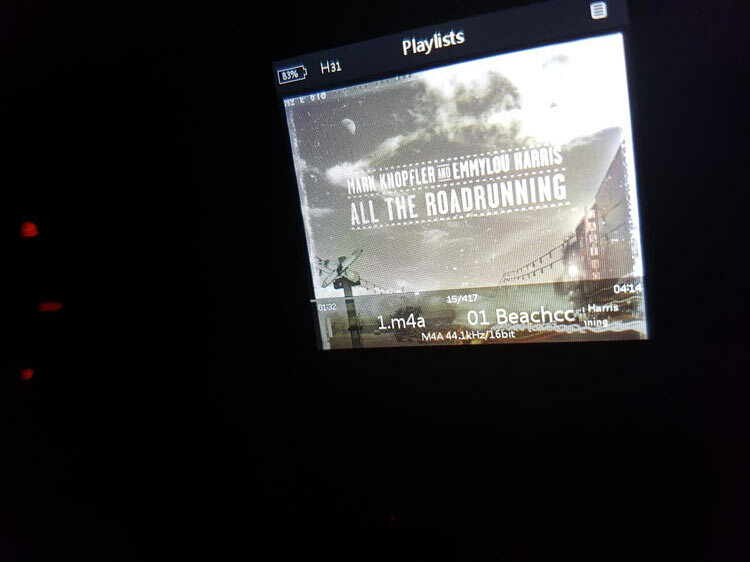 So, I switched and went to an IPod Nano I, which was more expensive than the Questyle, but was available to me at that moment, but I still decided to have a run with the same title. What happened afterwards was to laugh about, but in turn, also sit and ponder of the fact that people spend money on this product. 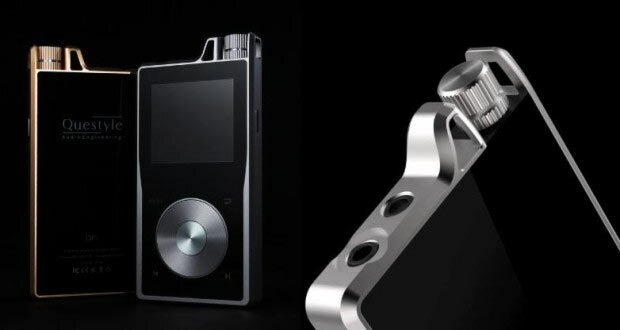 The IPod Nano I, is but a perfect example that one you pay is not WHAT you get. What a waste. I am sorry. Driving. How fun is that without music? Not much, especially in most cars I know, but with a wire and great music compilations, it is funny how a drive to Piraeus–Glyfada and then directly to downtown with all that traffic, seemed to be so smoother and less stress free. Might I add even fun having the Questyle with me. It could have been my imagination but the actual quality of the recordings did make my stereo, (which is a normal 500-euro stereo) into one which I loved to listen to. It made my day from boring to a joy. It just made its worth, just by using it on the road! Who would have thought? 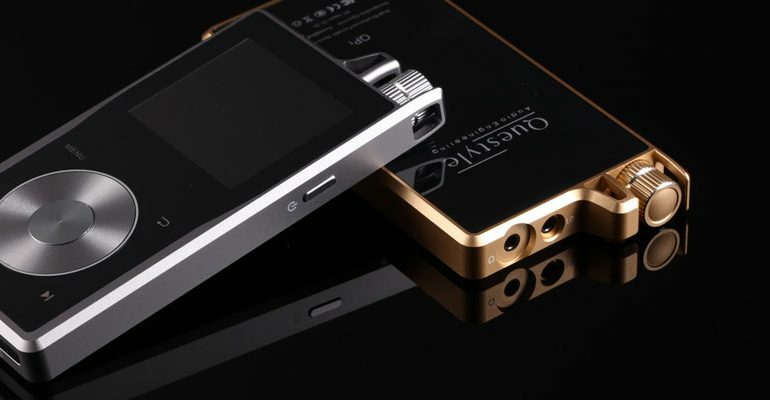 It seemed the little digital player was useful other than the home, where I thought all high-end products only existed. I enjoyed the lighting it had for night (and for day as well). The outing. What did others think about it? After testing it myself, I wanted to know how others felt about the sound Sure, I liked it and found it as pleasant, and much more than what I expected, but was it amazing for others? What would they think of the design? The cost, the weight, the build. I drove off and went to visit some young friends. After all, it is the young at heart and those with sensitive ears which would give me the insight on the music they play, and if the player would make a difference, or was it only for rock and classical. What an enjoying day is when you make people laugh, feel super high and full of hope once again. What a day it is when we can share our technology with others, without bringing them to the house or forcing them to shut up to listen to a system, but rather enjoy the entire experience within the home, not caring about anything in the world. And such a day it was! With no exception, from 11-year-old to 75 year olds, I saw smiles, I heard laughs, I experienced and saw exclamation points in verbal fascial expression. It was like feeding them heroine through the ears! That was an experience I had never lived before. It was special and I never ever thought we could transform a normal moment, or day, into such a thrill for our friends and for us, just by listening to the music on the go. I wish I could show you videos, but you would probably think I had paid them off or they were good actors, if you had seen them. This day was exceptional, and as I lived this day I realised we, the community of the music reproduction society, informally, must give our highs to others. It is uncommon to be able to give so much, with so little. All that from a few wires and a few good songs. The world seems so much more simple now, and I am lucky enough to have enjoyed it, even if it was for one day. Staying home and taking it all in. That is when you want nothing to do in your heart other than to listen to music at your own time and space. I picked my favourite music, which in this case was whatever I had and sat on the couch and disappeared for hours. I only got up to do my business, and then when I realised I could take it with me, I felt stupid for holding it for so long for no reason. I felt the depths, both the bass, which most said the Q did not have, and the sweet highs and sensitive mid band which was in every guitar string that I heard. Even with Private Investigation, live from 1985, (The song here has been changed for the concert and the differences are welcome), but within the world I was in, it was more than music, it was time travel. Who said it never existed. I could very clearly hear my voice in the crowd. Try to make me believe otherwise! I simply can’t get enough of it. Four and a half minutes into it, the music simply assures me again that life is sweet, as long as there is music like this in our world. 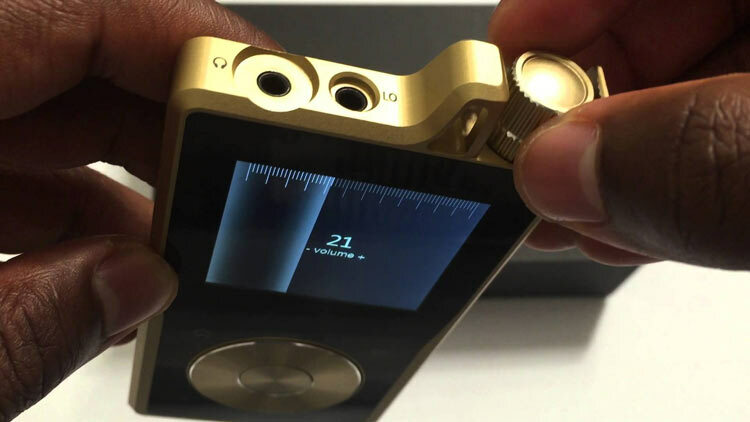 This is where I understood, FINALLY, what this device is all about. The ability to move with the emotions, wherever you go, (outside the walls of our demise and sorrow, with the world as we see it, in shambles). It is with the will and power of people and technology, with the love of God in them, that help create these machines to make the high, in their lives. In a world where Facebook, Twitter, WhatsApp, and media has taken over our lives, it is nice to know that we can be alone and even deeper than whatever they feed us, and hear. We know it’s pure, we know it’s the only thing that will outlast even the above mentioned, and this because in its pure form, unadulterated music is nothing less than mans’ moment to feel like an angel. Darn Good job Q. I never thought, but you made me into a believer.